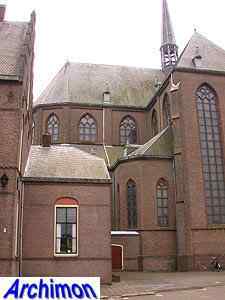 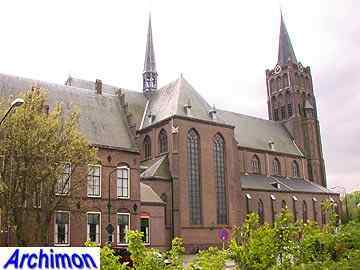 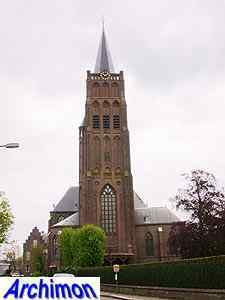 Although Vinkeveen has existed since the 12th century it took a long time before a church was built in the village. 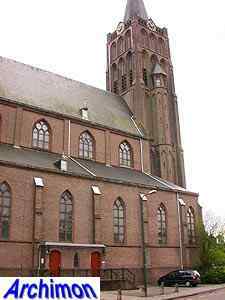 In the first half of the 19th century finally churches were built for both protestants and catholics. 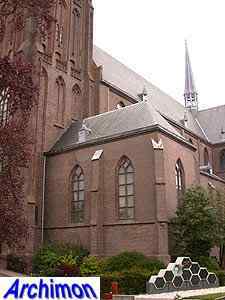 The latter replaced their church less than fourty years later by the current one. 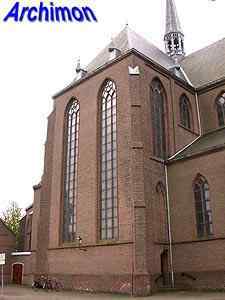 Architect Alfred Tepe designed it. 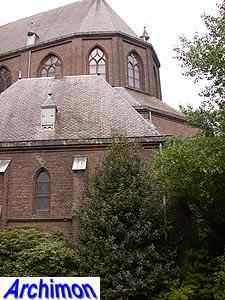 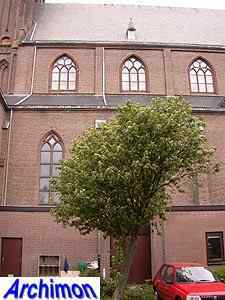 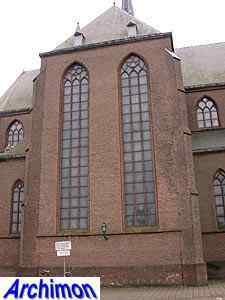 Tepe had become the most important architect of churches in the archdiocese of Utrecht since he built his first church about a decade earlier. 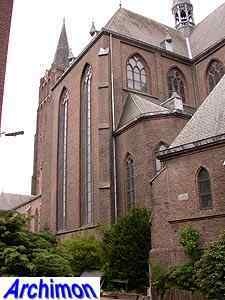 As always he built a neo-Gothic church, using brick as the major material. 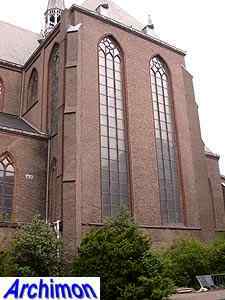 It is a big three-aisled cruciform basilica like he designed many. 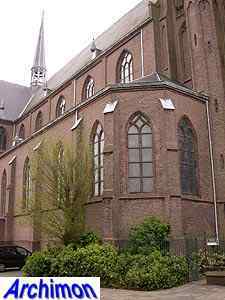 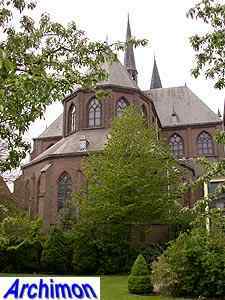 Tepe's neo-Gothic style was inspired by the Gothic churches of the Lower Rhine-region, and a distinct feature of this style is the absence of gables on the transept. 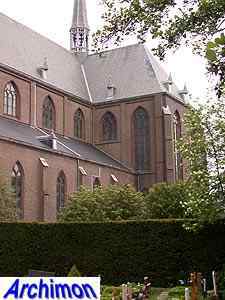 The choir has an ambulatory, as the only church designed by Tepe. 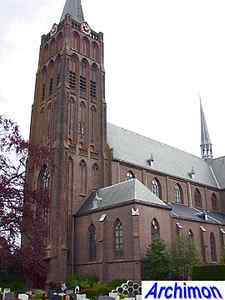 The tower was originally not as tall as it is now. 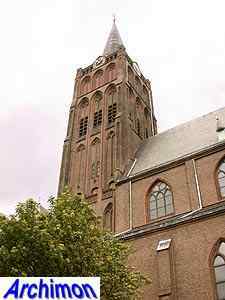 In 1914 the spire was blown off, and instead of just replacing it it was decided to add a segment to the tower as well.